TELEMAKS starts from the analysis of an object passing through all necessary stages – finding the best technical solution, design work, engineering, adjustment and finally installation and guarantee service. 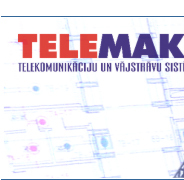 Optimal competence combined with rich professional level proves that TELEMAKS specialists will solve any technical task in order to match client’s needs. 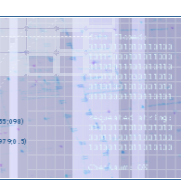 One of the company’s sphere of activities is design projects of the following telecommunication and low-voltage systems: computer and telephone networks, fire prevention systems, fire detection systems, security alarms systems, video observation systems, motion detection and access control systems, TV satellite systems. Design projects are realized for appartment and administrative buildings. The specialists of the company will prepare all necessary documentation that meets Latvian Republic standards and European requirements. One more sphere of our business is installation of telecommunication and low-voltage systems. The installation works are provided in any projects - in appartment houses and administrative facilities. Installation works are performed on the high professional level, using modern technologies, in conformity with current norms and requirements of Latvia and European Union. The technical maintainance of the systems and equipment is also offered by our company.This applies to the systems that were installed by us as well as by another companies. Our goal is to render the customer the technical maintainance services during garantee and after garantee period. - conclusion of contract on technical maintainance. At the present moment the company is the official distributor of the many manufacturing companies. Equipment supplies are provided directly from the manufacture warehouses at very favourable prices. Find full product list online in our internet-shop or visit our showroom ir Riga: Brivibas street 126. Technical supervision and design project technical evaluation. The technical supervision and design project technical evaluation is also provided.